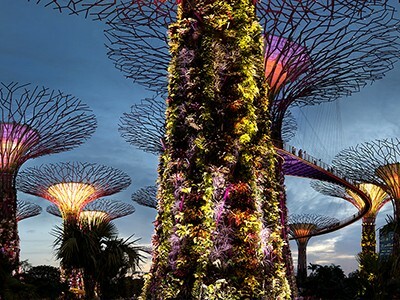 From artificial intelligence to infectious diseases, top researchers in Hong Kong, Malaysia, Singapore, South Korea and Taiwan are making big impacts on the global stage. A geneticist works to improve breast-cancer screening among women in Singapore. Jingmei Li does some of her best thinking underwater. “Research is a lot like diving because it’s about looking for things that are hiding in plain sight,” says Li, an avid diver and a human geneticist at the Genome Institute of Singapore. In her research, Li sifts through information collected from women with breast cancer to detect the risk factors that make them more susceptible to developing the disease. “All the data are there — it’s about forming a research question,” she says. To make predictions about whether an individual has a high risk for breast cancer, Li looks for genetic markers as well as lifestyle factors, such as obesity, that are linked to an increased risk of cancer. She also incorporates a third component into her risk assessment, using mammogram images to study breast density. Searching through this combination of data is unusual, says medical epidemiologist Per Hall at Stockholm’s Karolinska Institute, who was Li’s PhD supervisor. “She’s one of the new generation of epidemiologists,” says Hall, who adds that risk models are getting better but still require a lot more work. Li studied the genetic profiles of hundreds of thousands of European women to search for disease markers. Specifically, she looked at the most common type of genetic variation among people — changes in the individual ‘letters’ in DNA, known as single nucleotide polymorphisms (SNPs). Unlike mutations in the BRCA1 and BRCA2 genes, which can substantially increase the risk of developing breast cancer, variations in individual SNPs do not raise a woman’s chance of getting the disease by a large margin. However, collective changes to numerous SNPs can elevate a woman’s risk significantly (K. Michailidou et al. Nature 551, 92–94; 2017). 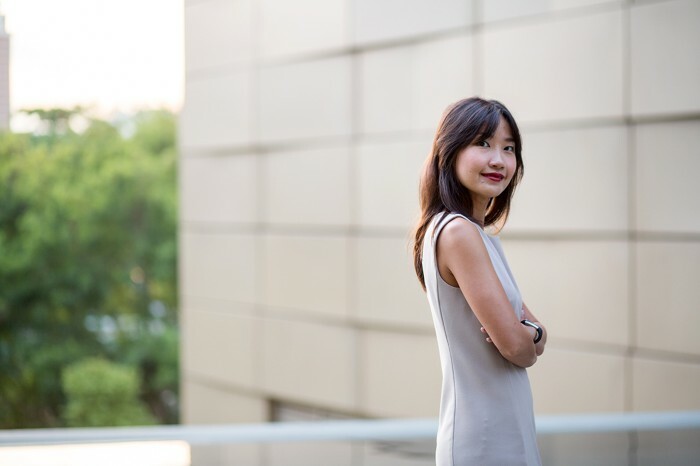 After moving back to Singapore in 2017, Li switched her focus to working with local data. Breast cancer is the most common cancer affecting Singaporean women, but they are reluctant to discuss the disease and to get regular screenings, says Li. “I think genetics is the way to go,” she says. “It doesn’t solve everything, but at least you can identify the high-risk population.” Physicians can then concentrate on getting them screened for the disease. An infectious-disease specialist in Hong Kong battles emerging pathogens. In late 2002, a mysterious and debilitating respiratory illness emerged in China’s Guangdong province, and then spread to Hong Kong and eventually the world. Severe acute respiratory syndrome, or SARS, as the disease came to be called, “came out of nowhere”, says Malik Peiris. It eventually killed almost 800 people in more than two dozen countries. SARS’ toll could have been much worse had it not been for Peiris, one of the top specialists in emerging diseases. 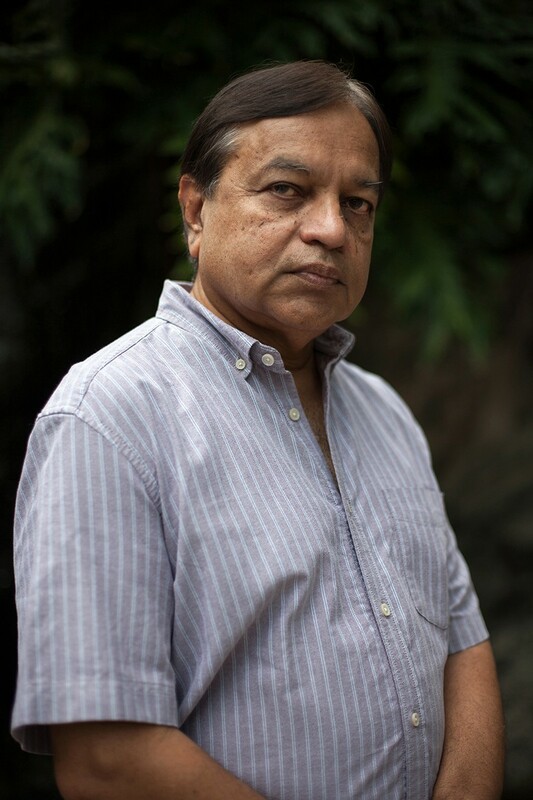 Despite concerns that the virus could kill them or their families, Peiris and his team quickly pinned down the cause and developed measures to control it. 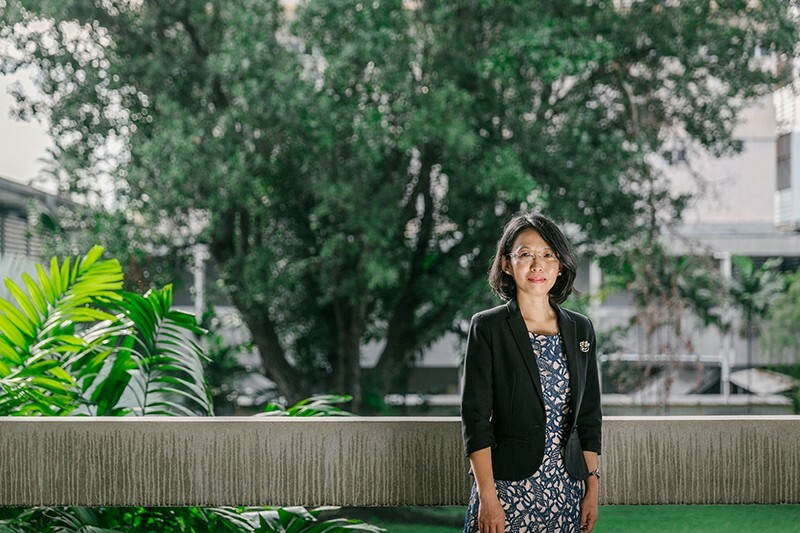 Peiris, a virologist at the University of Hong Kong’s School of Public Health, is a much-sought collaborator who can navigate political issues that arise during outbreaks. “He is quiet, and his personality is very conducive to collaboration between international scientists of many cultures,” says Robert Webster, a virologist at St Jude’s Children’s Research Hospital in Memphis, Tennessee, and a pioneering researcher of avian influenza. Before coming to Hong Kong, Peiris bounced back and forth between Sri Lanka, where he was born and completed an undergraduate degree, and the United Kingdom, where he did postdoctoral research and a stint with the National Health Service. In 1995, Peiris took on the challenge of establishing a clinical-virology laboratory in Hong Kong. He was put to the test two years later, when Hong Kong recorded the first known case of the H5 strain of bird flu jumping to people. Eventually, 18 became infected and 6 died. The outbreak terrified infectious-disease experts because H5N1 was known for wreaking havoc on bird populations. Peiris made his name with H5N1. He discovered how the virus kills people by triggering an overreaction in the immune system — known as a cytokine storm — that attacks the body’s organs (C. Y. Cheung et al. Lancet 360, 1831–1837; 2002) . He also showed that interventions in live-poultry markets — such as closing the market for one or two days every month, or removing the poultry overnight — dramatically reduced the spread of the virus in the market, thereby reducing risk to people. The H5N1 scare helped Peiris and others to prepare Hong Kong for future outbreaks. “The system set up in response to bird flu is what helped us to deal with SARS,” he says. Six years later, Peiris’ scientific reputation burgeoned through the SARS crisis. He led a team that discovered that SARS was caused by a coronavirus, and developed strategies to contain the virus. Lately, Peiris has shifted his attention to Middle East respiratory syndrome (MERS), another coronavirus disease with pandemic potential, which he says isn’t getting enough attention. Evidence suggests that the virus has been crossing from camels to humans — mainly in Saudi Arabia — in a way that reminds Peiris of local SARS outbreaks before the disease spread globally. “It has the greatest capacity for huge global impact,” he says. A Taiwanese pollution expert tackles indoor threats. In 1999, Huey-Jen Jenny Su approached Taiwanese politicians with a radical proposal. Su, a specialist in indoor air pollution, had led a team that had spent more than a decade measuring levels of contaminants in people’s homes and workplaces and then tracking the health impacts. Then she brought the evidence to the government and asked it to consider setting air-quality standards for indoor environments. In 2005, Taiwan proposed limits for the levels of certain indoor pollutants, and in 2012 the government introduced laws to regulate indoor air quality. “I continue to be proud that when the standard was issued we had a huge mass of scientific evidence that was so solid that no one could challenge the decision,” says Su, who in 2015 became the first woman president of the National Cheng Kung University in Tainan. Su has long been interested in how pollution affects people. After completing her PhD, she spent a year working on a major US government research project that sent her into many homes, where she saw first-hand the poor living conditions that some people endure. This field experience, she says, “gave me a lot of inspiration after I returned to Taiwan about how to effectively link scientific findings to policy”. Back home, Su and her team revealed how Taiwan’s climate generated a particular cocktail of indoor pollutants. They found that many homes in the hot and humid south had high concentrations of allergens, such as dust mites and airborne fungi, above the levels known to cause respiratory problems. They also found that Taiwan’s subtropical environment had higher concentrations of endotoxin — a component of bacterial cell walls linked to asthma severity — than did more temperate climates. Su and her colleagues later demonstrated that living in a home with visible mould and water damage was associated with asthma in adults and children (N.-Y. Hsu et al. Arch. Environ. Occup. Health 67, 155–162; 2012). 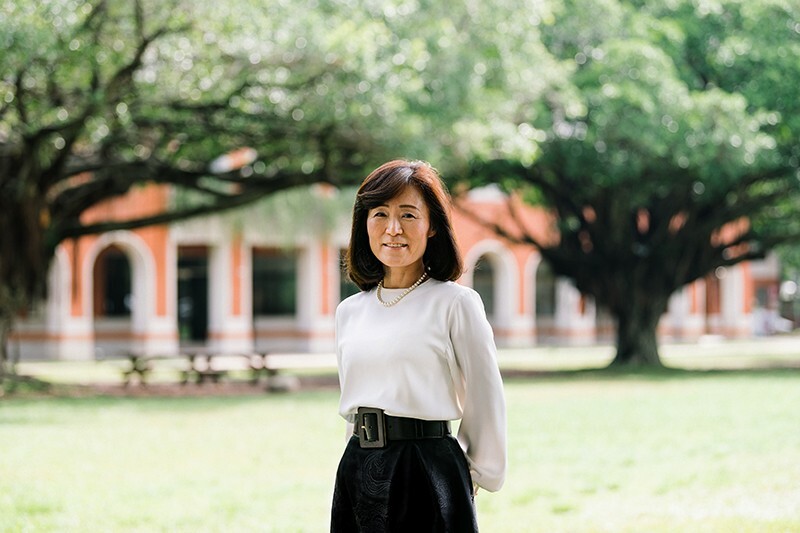 Since becoming university president, Su has focused her research on how data on air pollution and its health impacts can help efforts to make society more resilient to global warming. “What choices do we have to help people and our built environment be more adaptive to the changing climate?” she says. A chemical engineer turns waste into fuel. Suzana Yusup didn’t have a choice in her course of study when she arrived at the University of Leeds, UK, in 1992. She had received a scholarship from the Malaysian government to do an undergraduate degree in chemical engineering, but, she says, “I didn’t know what chemical engineering was”. Yusup now heads the Center for Biofuel and Biochemical Research at Universiti Teknologi Petronas (UTP) in Perak, Malaysia. She joined the university in 2001 and began exploring Malaysia’s rich plant resources to produce biofuels. Much of her work has focused on creating fuels from biomass waste, such as used cooking oil, rubber-seed oil and discarded distillate from palm-oil refineries. She has long explored ways in which green technology can help the environment and society. When she learnt that rice farmers around her university were struggling with pests, weeds and the health threat of chemical pesticides, Yusup started developing safer biopesticides based on compounds from plants. She adapted the techniques and facilities in her biofuel lab to produce the pesticides. Yusup has won many honours, including Malaysia’s Rising Star Award in the category of Highly Cited Review in 2016 and the Women in Science Award in 2017. A physical chemist takes a trick from frogs to develop better ways to grow graphene. As a boy growing up in Singapore, Loh Kian Ping fell in love with science after seeing specimens of dissected frogs. Decades later at the National University of Singapore, the physical chemist once again drew inspiration from frogs — this time, to make one of his key discoveries. By mimicking how the amphibians latch on to leaves, Loh developed a method to connect graphene to silicon wafers, which could help in industrial applications such as improving optical communications. With its single layer of carbon atoms, graphene is hailed by the microelectronics industry for its thinness and its ability to conduct electricity. But growing graphene on a surface is tricky. If the conditions are wrong, the thin layer of carbon peels off and floats away in solution. Or too many carbon layers grow and create graphite instead. Loh and his colleagues devised a way to grow graphene on copper-coated silicon wafers, then etch away the copper (L. Gao et al. Nature 505, 190–194; 2014). To prevent graphene from washing away as well, Loh made special pretreated silicon wafers that attach to the newly grown graphene through capillary bridges — the same microstructures that allow frogs to adhere to lotus leaves. “It’s a biomimetic way of attaching graphene to silicon wafers,” says Loh. Successfully growing graphene on silicon microchips is a crucial step towards using the material on a commercial scale in industry to improve the performance and cost of electronic devices, says chemist Xiangfeng Duan at the University of California, Los Angeles. Loh’s achievement, he says, helped to address a key bottleneck. Loh has been studying graphene and other 2D materials for more than a decade, and has earned a reputation as a master grower of these super-thin nanomaterials. It’s a highly competitive field, but Loh “displays a rare combination of many unique skills”, says Duan. He adds that Loh’s training as a physical chemist allows him to bring perspectives from both fields. He also brings insights from around the world. Loh did his PhD at the University of Oxford, UK, and his postdoctoral research at the National Institute for Materials Science in Tsukuba, Japan. He chose to return home in 1999 because, he says, “the funding situation in Singapore is very healthy” and he felt the pull of his country. 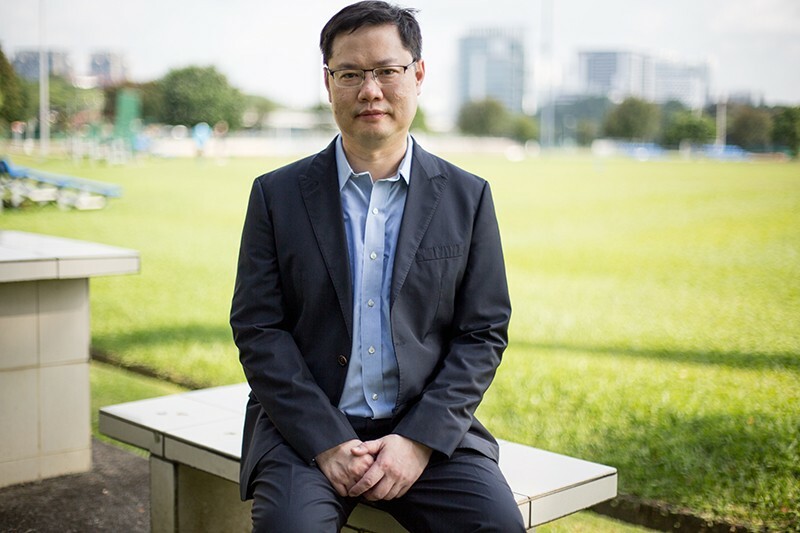 “Ultimately, it’s home.” His work has paid off there, earning him the 2014 President’s Science Award, the highest recognition given to researchers in Singapore. Next, Loh wants to focus on translating his research into useful products that will help contribute to his homeland. “If you just focus on publishing papers, there’s no value capture for Singapore,” says Loh. A parasite researcher in Malaysia works to improve the lives of indigenous people. Yvonne Ai Lian Lim has developed a reputation for her interest in human faeces. As part of her PhD project in the 1990s, Lim collected samples from the indigenous people of Peninsular Malaysia in the west of the country and checked for signs of parasitic protozoa. As she went from hut to hut, her study subjects called out, “The stool person is coming!” She made fun of her title — and that endeared her to those she was studying. Two decades later, Lim is now a parasitologist and deputy dean in the Faculty of Medicine at the University of Malaya in Kuala Lumpur, where she continues to study parasitic helminth worms among the indigenous tribes, known collectively as the Orang Asli. She has found that a heavy rate of helminth infections persists among only certain populations, generally in places hit by poverty and poor sanitation. Working out why is a complex problem, and remains a focus of Lim’s work. She reaches into her drawer and pulls out a pouch woven from leaves. “The handiwork is excellent, it’s so fine!” says Lim of the pouch, which was produced by one Orang Asli tribe. Members of that group have boosted their income by selling their craftwork, says Lim, who has connected with lawyers, economists and artists to help the Orang Asli to market their products. Her work is also having a scientific impact. In 2016, she received a top research scientist award from the Academy of Sciences Malaysia, and co-authored a paper in Science (D. Ramanan et al. Science 352, 608–612; 2016) that is in the top 1% of the most-cited papers in immunology for 2016. The study revealed a flip side to helminth worms: that a low-level infection protects people against inflammatory bowel disease by regulating the immune system and gut bacteria. The work has won Lim and her collaborators a four-year grant to study helminths as therapeutic agents. “We always think of the bad effects of the worms,” says Lim. But when the worms are present in low levels, she says, they “can be angels too”. A chemist looks for new ways to make molecules shine. When Vivian Yam turns on a light, she sees a problem — and an opportunity. Much of the electricity produced globally goes into lighting, and a large portion of that energy is wasted by inefficient bulbs. But many thriftier lights contain environmentally hazardous materials such as mercury. Yam designs organic light-emitting diodes (OLEDs) to produce cheap and environmentally friendly options. “If we can improve the performance of these devices, we can save a lot of energy,” she says. Light has been a running theme in Yam’s career. The University of Hong Kong chemist has spent more than two decades creating metal-containing compounds with unique abilities to absorb and emit light. Such technologies could be used, for example, to harness solar energy, sense early signs of Alzheimer’s disease in people’s brains and create various types of OLED display. 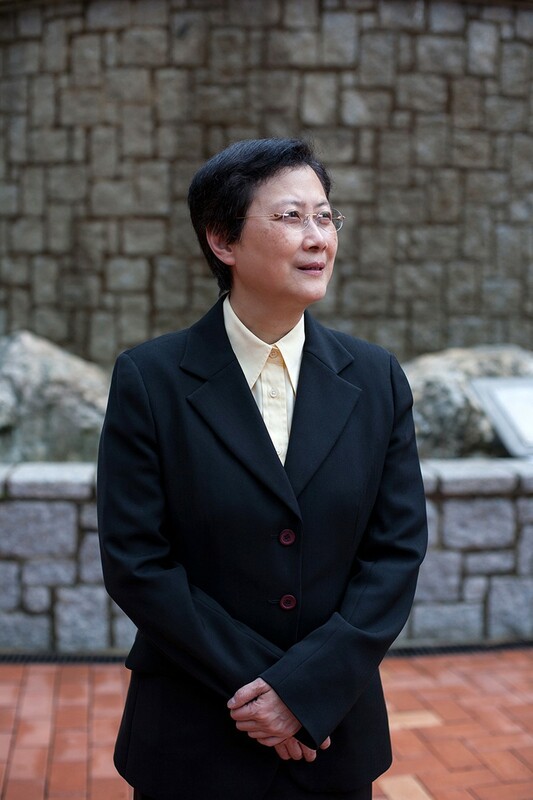 Her original approaches have earned her various accolades, including being the youngest person elected as a member to the Chinese Academy of Sciences. It was a broken thermometer that helped to spark her early interest in chemistry, says Yam, who played with the spilt mercury and marvelled at how it flowed and coalesced into balls. She is still experimenting with metallic elements, but now at a molecular scale. By manipulating the forces that hold molecules together, Yam can control their alignment. This, in turn, allows her to create larger, complex structures called supra-molecular assemblies that have a unique ability to emit or absorb light. “Just the way they are packed makes such a dramatic difference in their optical properties,” she says. Cost is a key consideration in her science. To develop phosphorescent OLEDs, known for their high efficiency in converting light into electricity, she bypassed the materials most commonly used by others: iridium and platinum. Instead, she went with gold, which is more abundant, environmentally benign, and cheaper. She eventually made the world’s first gold-based phosphorescent OLEDs (V. K-M. Au et al. J. Am. Chem. Soc. 132, 14273–14278; 2010). OLEDs light up the screens of many electronic devices, from mobile phones to televisions, so Yam’s work caught the attention of TCL, a firm based in neighbouring Guangdong province and one the world’s largest producers of TV sets. A South Korean researcher who helped to develop CRISPR wants to improve crops. The détente between North and South Korea has given Jin-Soo Kim an idea for his next set of experiments. 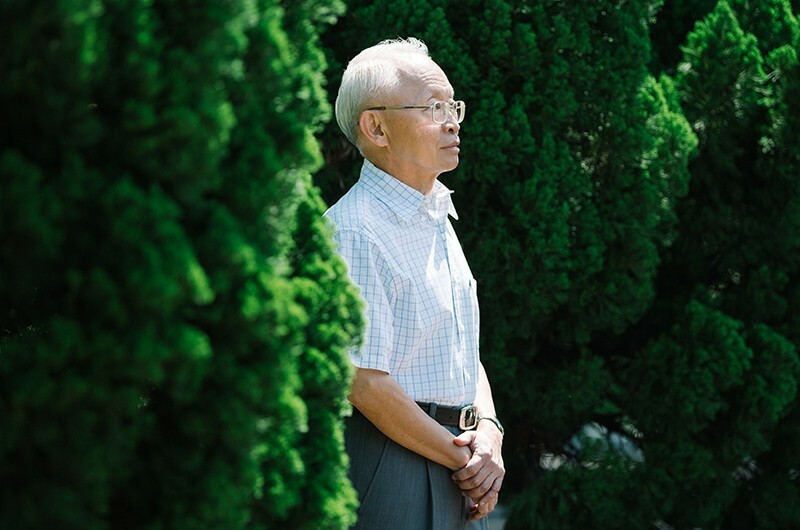 As a pioneer of gene-editing techniques, Kim has felt constrained by tight restrictions in South Korea on using biotechnology techniques to improve crop yields and improve resistance to disease. So he is thinking of doing experiments where there is less red tape, and where the government has an incentive to invest in resilient crops: North Korea. The country has frequently struggled with famine tied to poor harvests. “Maybe this technology can be adopted very quickly to solve the current problem in North Korea, and that’s exciting,” he says. So, in 1999, he formed a company called ToolGen to develop his own genome-editing technology. It was a bold decision in a country that at the time had almost no venture-capital firms investing in biotech start‑ups. The company struggled for financing in its early years, and at one point shrank from 28 employees to just 5. Today, ToolGen is stable, with a market capitalization approaching US$1 billion. 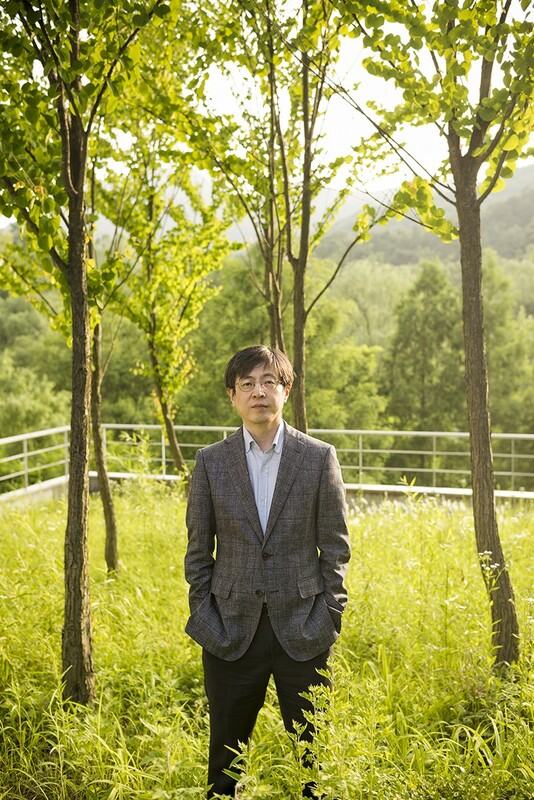 Kim, who left the company in 2005 for a post at Seoul National University, remains a shareholder and licenses his group’s gene‑editing technologies to it. Among them are CRISPR–Cas9, the easy-to-use ‘genetic scissors’ that enable researchers to precisely cut and paste genetic material in living cells. In January 2013, Kim was one of the first to stake a claim to it, publishing a paper (S. W. Cho et al. Nature Biotechnol. 31, 230–232; 2013) that showed how the tool could be used to snip at targeted spots of a DNA sequence. He holds CRISPR patents in several countries. Kim continues to work at the frontier of gene editing, and is now jointly affiliated with South Korea’s Institute of Basic Science. His lab’s results include using the technology to edit the genomes of plants and to create pigs with extra muscle. And Kim is working to find therapeutic uses in humans. In 2017, he teamed up with Shoukhrat Mitalipov at the Oregon Health & Science University in Portland in an attempt to repair a mutation that can cause heart failure in humans, and then to insert the corrected gene into viable human embryos (H. Ma et al. Nature 548, 413–419; 2017). Therapeutic uses could be many years away, but Kim is optimistic that gene-edited crops could arrive sooner, with improved yields and resistance to disease. South Korea’s regulation of such crops is unclear, however, and they might fall under strict guidelines for genetically modified organisms, even when no foreign genetic matter has been introduced. Kim is considering collaborating with researchers in North Korea, which might be more receptive to editing genes in crops. By law, South Koreans are forbidden from seeking contact with North Korea. But Kim hopes that the current thaw in diplomatic relations will foster scientific cooperation. For example, students from both nations could work together in unified labs, with North Koreans returning home to train others. “I think they can do very well — they can catch up very rapidly,” Kim says. A computer scientist seeks to create a spoken version of Google. Lin-shan Lee spends a lot of time exploring online courses, but he isn’t looking to learn a language or study ancient history. Instead, he’s training algorithms to extract key words and phrases from audio and video recordings. He and many other computer scientists say that this is one of the crucial steps towards unlocking a vast amount of knowledge that is currently difficult to search and organize. “My whole career has been motivated by identifying interesting problems which can have great impact if solved, but are very difficult,” he says. Lee, a computer engineer at the National Taiwan University in Taipei, trained as an electrical engineer, completing his PhD at Stanford University in California in the 1970s. In the United States, he also worked on satellites used for telephone communication. “When I decided to return home, all my friends said, ‘you are stupid because there’s no work on satellites in Taiwan’,” he says. But Lee felt that his familiarity with voice signals presented an opportunity: he traded satellites for computers, and started developing a tool that could recognize spoken Mandarin. Over more than a decade, his team built a device that was crude and slow — it took five to six seconds to recognize a single syllable — but a huge achievement. It was the first speech-recognition device for Mandarin. By 1995, their machine could transform continuous Mandarin speech into a series of Chinese characters. A biochemist investigates small RNA molecules that regulate gene expression. When Narry Kim took her first faculty position in 2001, she had no funding, no students and no experience in her newly chosen field — investigating a class of recently discovered molecules called microRNAs (miRNAs). It was a leap into the unknown for her, establishing her academic independence by leaving behind the fungi and viruses she had studied in graduate school. “It was kind of scary at the beginning. But looking back, it was a great decision,” Kim says. Now, as she sits in her well-funded lab at Seoul National University, she waxes nostalgic for those times. Her lack of money forced her to be creative, designing cheap experiments that directly attacked the key unanswered questions of how miRNAs form and what they do. The first examples of miRNA were discovered in 1993. Much shorter than the messenger RNAs that translate genetic code from DNA to proteins, miRNAs have a role in blocking gene expression. But, as Kim began her work, the origins of the tiny stretches remained mysterious. In 2002, in her first paper as a group leader (Y. Lee et al. EMBO J. 21, 4663–4670; 2002), she and her small team showed that they are generated in two steps — first in the nucleus, then with further processing in the cytoplasm into mature miRNA. She followed that up with another paper the next year detailing a major pathway through which miRNA is formed (Y. Lee et al. Nature 425, 415–419; 2003). Today, Kim is one of South Korea’s most prominent researchers, and has a joint affiliation with the Institute for Basic Science, the country’s premier network of blue-sky research labs. In 2009, at the age of 39, she became one of the youngest winners of the Ho-Am Prize for Medicine, often considered as South Korea’s equivalent to the Nobels. Along the way, she has also become a role model for young scientists — especially to women, who make up just 19% of South Korea’s scientific workforce.